She Writes Press, 9781631522604, 176pp. As featured in the New York Times "Modern Love" column * a Redbook Magazine must-read * Rumpus, Hello Giggles, Bustle, and Southern Living magazine Fall book pick Fugitives from a man as alluring as he is violent, Andrea Jarrell and her mother develop a powerful, unusual bond. Once grown, Jarrell thinks she's put that chapter of her life behind her--until a woman she knows is murdered, and she suddenly sees that it's her mother's choices she's been trying to escape all along. 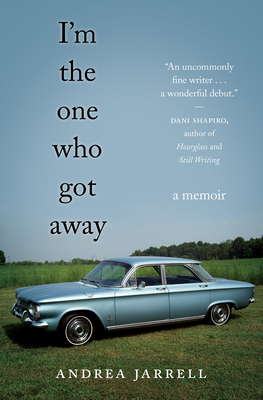 Without preaching or prescribing, I'm the One Who Got Away is a life-affirming story of having the courage to become both safe enough and vulnerable enough to love and be loved.